CB MS HOMBRE 607Z3 is our latest addition. 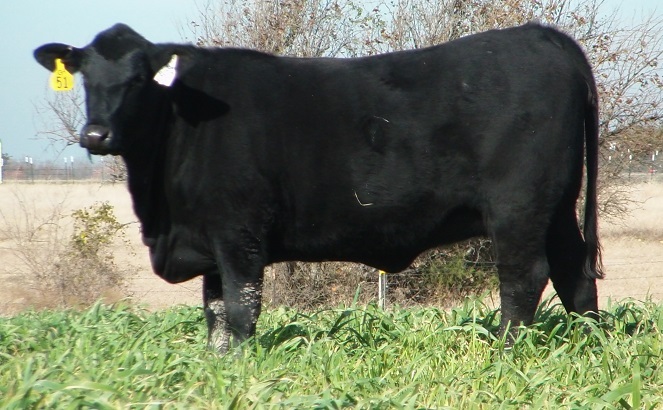 She is a gentle and amazing bred heifer that we purchased from Cavender’s Brangus through the fall 2013 GENETRUST sale at Chimney Rock. She was the tenth female to sell and we were lucky enough to bring her home. She is going to be one of our picks to use as a donor cow. Exceptional looks and an amazing set of EPD’s. Needless to say, we are very happy with the purchase. Thanks to Craig Green for your assistance in the selection and purchase and to Kenneth Welch for helping us to get her home.